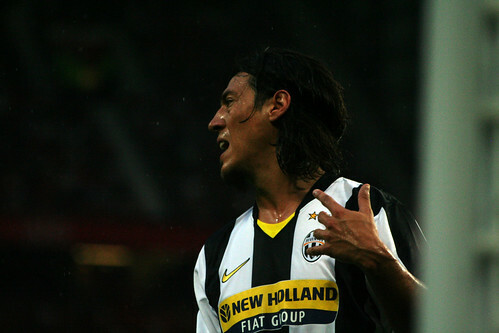 A shocking twist happened in the transfer market as Mauro Camoranesi who was just one foot away from playing in the premier league with Birmingham City, has to cancel all of his flight plan as the latest news suggested that the English club have canceled the deal. Reports stated, the deal that has already reached personal terms negotiation process suddenly collapsed after some mysterious problems suddenly appeared. Birmingham manager, Alex McLeish, confirmed the news to Sky Sport stating despite his admiration for Camoranesi, there has been a problem that forced him to abandoned the negotiation. All the people involved on the negotiation still refuses to reveal the main reason that collapsed the deal, although there were rumors saying that some tax and wages issues could be thing that ended the negotiation. Despite the deal is currently off, FIFA agent, Vlado Borozan still hope that both parties can re-start everything in the next few weeks after the situation is calmer. This failure could actually give a side effect to Juve as should the deal can’t be re-opened there’s could be a possibility that Juve might have to re-think about their transfer plan as the Biancori’s hopes of getting more cash from selling Camoranesi seems faded. The Old Lady are hoping that from the sale they can earn enough cash to acquire either Milos Krasic or Michel Bastos, who were reported as the Turin giant’s main target this summer. Recently they only managed to sell Christian Poulsen to Liverpool and could soon released their Brazilian playmaker Diego to Wolfsburg or Schalke 04. Surely the Bianconeri would expect that they can offload Camoranesi to earn the extra cash they needed, however with this current situation the Italian giant might need to look elsewhere in finding a new buyer for the veteran winger.